We are currently learning about different celebrations in class 4. We like practical, hands on experiences; so for the ‘Birthdays’ topic we planned a birthday party from start to finish. 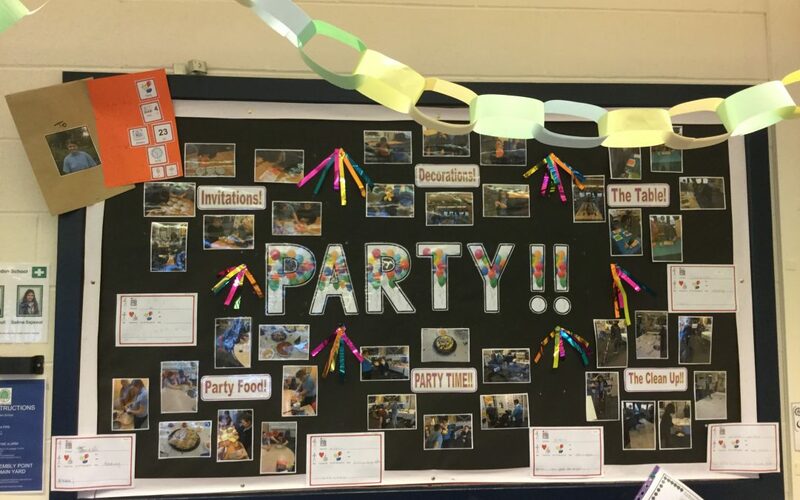 We designed invitations, invited a friend each, made decorations, created shopping lists for the food we wanted to serve, went shopping and then prepared the food and we even researched fun, age appropriate games to play. On the day we had a fabulous time with friends from across school. We ate lots of yummy food and all enjoyed the ‘wiggle game’ where you tie a tissue box behind your back and wiggle your bum to release 5 ping pong balls!! The downside to organising your own party is that you have to do the cleaning up too! !